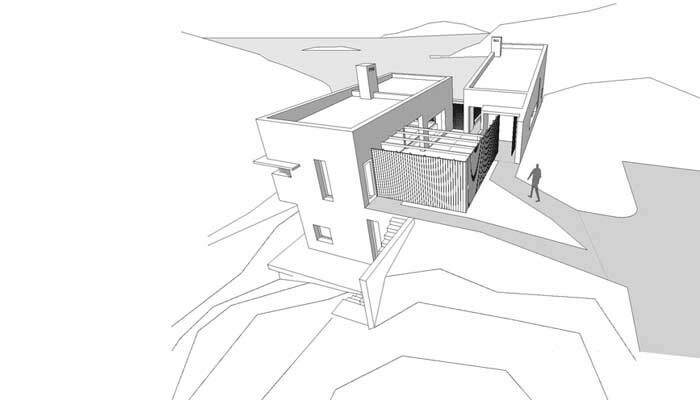 2012 - This residence in the Greek island of Skyros was designed for the Mediterranean summer. The main concept informing its design is outdoor living. This idea delighted the owners and offered the opportunity for a natural yet difficult to realize option. The project involved two courtyards with different spatial qualities surrounded by covered living spaces. The placement of the two independent buildings produces a relatively narrow passage that accelerates the transition from one space to the other. 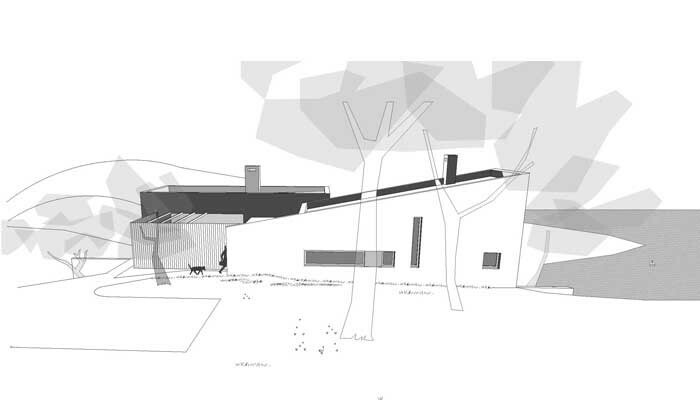 The two oblong buildings accommodate bedrooms and living spaces respectively. To get from the bedrooms to the living spaces one has to go past the main courtyard. 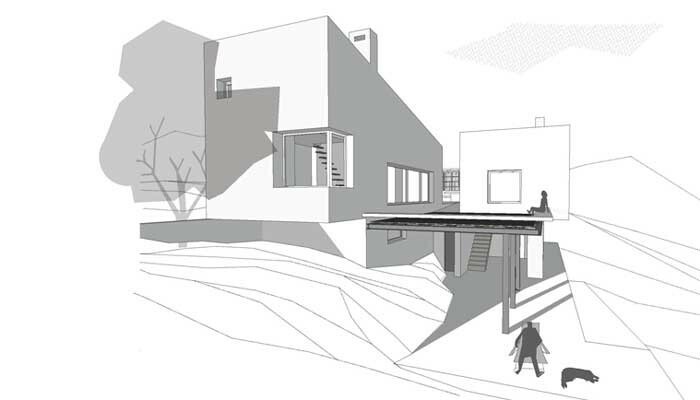 A stairway to the lower level leads to both a guestroom suite and a shady space underneath a perforated metal platform, allowing the invading soil to blur the boundaries between the natural environment and the man made structure.